Dr. Bonnie Wakefield has worked as a staff nurse, director of education and performance improvement coordinator in acute care settings. Since 1997, she has been a full time investigator. 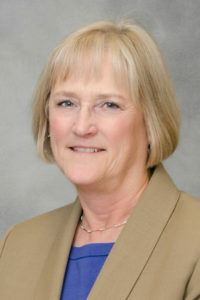 Her program of research has focused on improving the quality of patient care for older adults. She has conducted several funded studies evaluating the efficacy and effectiveness of home based communication technologies to improve outcomes in older adults with chronic illness. She has also conducted research on patient safety and adverse events in the hospital setting. Koch, G., Wakefield, B., & Wakefield, D. (2015). Barriers and facilitators to managing multiple chronic conditions: A systematic literature review. Western Journal of Nursing Research, 37, 4, 498-516. Alexander, G, Wakefield, B, Anbari, A, Lyons, V, Prentice, D, Shepherd, M, & Strecker, EB. (2014). A usability evaluation exploring the design of state nursing association websites. Computers in Nursing, 32(8), 353-412. Wakefield, BJ, Koopman R, Keplinger LE, Bomar, M, Bernt, B, Johanning, J, Kruse RL, Davis, JW, Wakefield DS, Mehr D. (2014). Effect of home telemonitoring on glycemic and blood pressure control in primary care clinic patients with diabetes, Journal of Telemedicine and eHealth, 20(3), 199-205. Koopman R, Wakefield, BJ, Keplinger LE, Bomar, M, Bernt, B, Johanning, J, Kruse RL, Davis, JW, Wakefield DS, Mehr D. (2014). Implementing telemonitoring of home blood pressure and blood glucose data in primary care practices for patients with diabetes: Lessons learned. Journal of Telemedicine and eHealth, 20(3), 253-260. Wakefield, BJ, Drwal, KR, Scherubel, MN,Klobucar, T, Johnson, SR, & Kaboli, PJ (2014). Feasibility and effectiveness of remote, telephone-based delivery of cardiac rehabilitation. Journal of Telemedicine and eHealth, 20(1): 32-38. Keplinger LE, Koopman RJ, Mehr DR, Kruse RL, Wakefield DS, Wakefield BJ, Canfield SM (2013). Patient portal implementation: resident and attending physician attitudes. Family Medicine, 45(5):335-40. Ohl, M., Dillon, D., Moeckli, J., Ono, S., Waterbury, N., Sissel, J., Yin, J., Neil, B., Wakefield, B., & Kaboli, P. (2013) Mixed-methods evaluation of a telehealth collaborative care program for persons with HIV infection in a rural setting.Journal of General Internal Medicine, 28(9):1165-73. Wakefield, BJ, Scherubel, M, Ray, A, & Holman, JE. (2013). Nursing interventions in a telemonitoring program,Telemedicine & eHealth, 19(3), 160-165. Wakefield B., Boren, SA, Groves, P, & Conn, V. (2013). Heart failure care management programs: a review of study interventions and meta-analysis of outcomes. Journal of Cardiovascular Nursing, 28(1), 8-19.